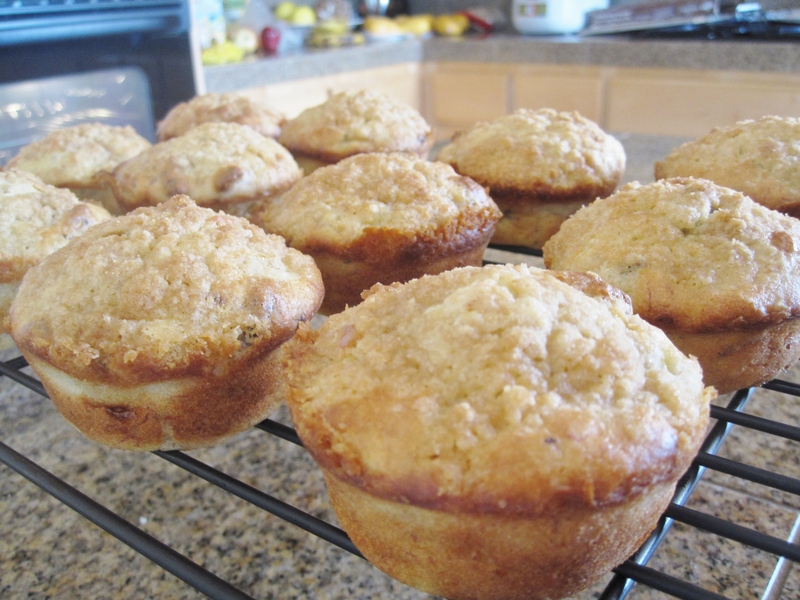 Preheat oven to 400° F. Line a muffin pan with 10 paper muffin cups or grease with cooking spray. Sift the flour, baking powder, and salt into a bowl. Stir in 3 tbsp of sugar. In another bowl, hand whisk egg yolk, milk, melted butter and mashed bananas until blended well. Pour the yolk mixture over the flour mixture and whisk until just combined (do not over mix– the batter will be slightly lumpy). Add walnuts to the top but do not mix yet– you will fold in walnuts when you fold in egg white in next step. Use a electric hand mixer, beat egg white until fluffy. Add in 1 tbsp sugar gradually and continue beating until soft peak appears as for meringue. Gently fold in whipped egg white into the batter until just blended. 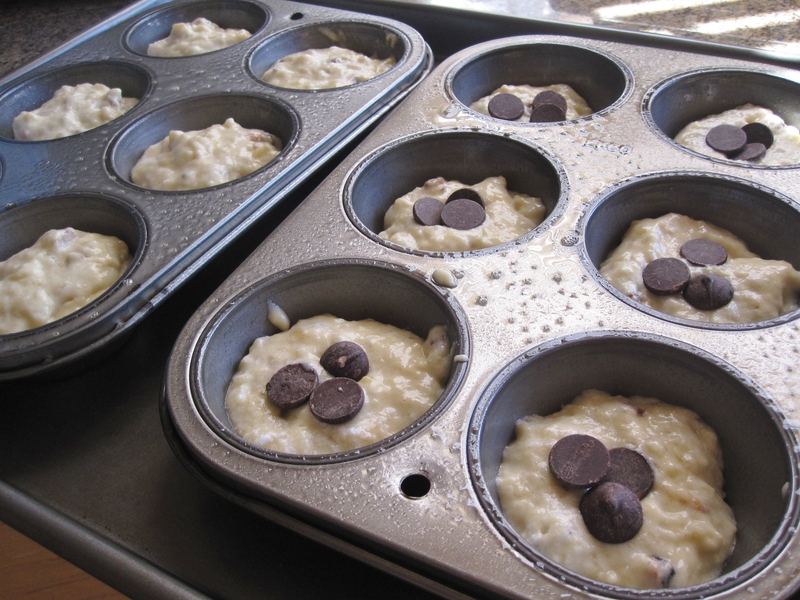 Fill each muffin cup half full, drop in 2-4 pieces of chocolate chips in the center. 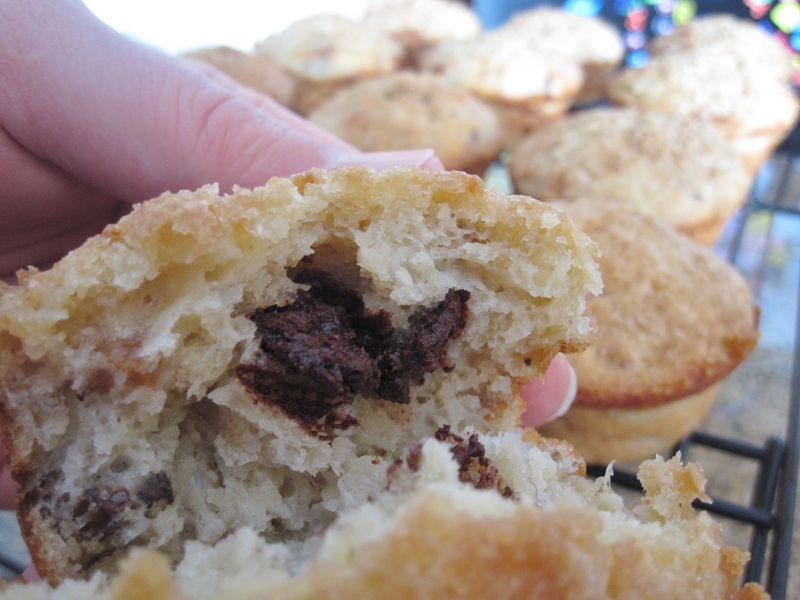 Then fill each muffin with more batter to cover chocolate chips. Bake the muffins until golden, for about 20 minutes. Remove the muffins from the pan and cool on the rack. Banana Muffins with Chocolate Filling– added chocolate chips for the fillings, then covered with some batter on the top.